St. Paul's has a variety of rooms to fit your personality and needs. Choose from our brand-new 'Super Single' rooms with private washrooms, our traditional single rooms, or our double rooms with privacy barriers. Regardless of configuration, all our rooms have individual temperature control (heating and air conditioning). A full meal plan is also included with your room. These 74 brand-new rooms (opened in Fall 2017 in our new wing) feature their own private bathrooms, a large footprint (bigger than most double rooms), a double bed, and a kitchenette on each floor, with only 13 rooms per floor. An optional washroom cleaning service is available. We have 43 single rooms on one floor in our West Wing. Like all floors on the West Wing, these rooms have access to separate male and female shared washrooms on the floor. Each bathroom has several private shower stalls, sinks and toilet stalls. Students find that with everyone's varied schedules, they rarely need to wait for access to bathroom facilities. St. Paul's double rooms are unique, giving you the fun and friendship of a roommate, but in a comfortable way. These large rooms have a privacy barrier that separates the sleeping area from the studying area of the room. This lets you sleep while your roommate stays up late to do work. There's plenty of storage room, too. There are 74 double rooms (148 beds) available. They are situated on both the West and East Wings. 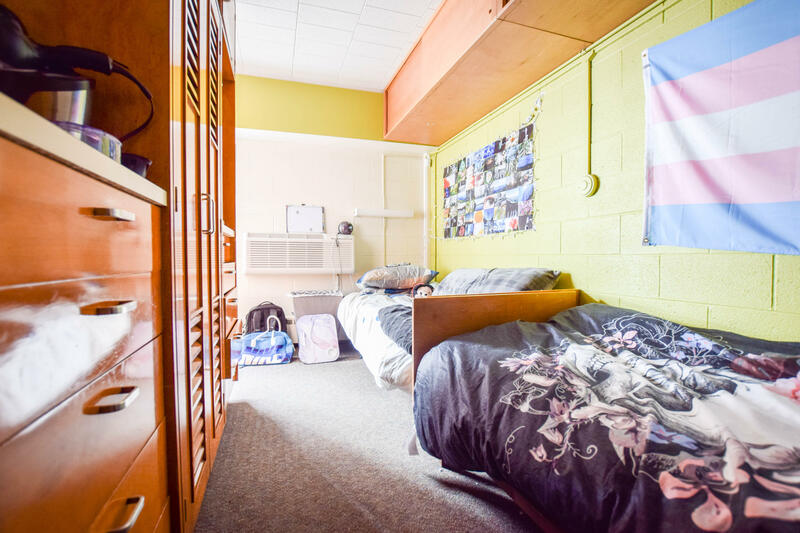 The rooms are single gender, but the floors can be double-gender or single-gender, depending on the student configuration each year. Each floor has its own bathrooms. The East Wing has newly renovated washrooms with individual private stalls containing a shower, sink, and toilet, as well as a common area with a sink and counter space. On the West Wing, floors have newly renovated female and male bathrooms, located close to the rooms. 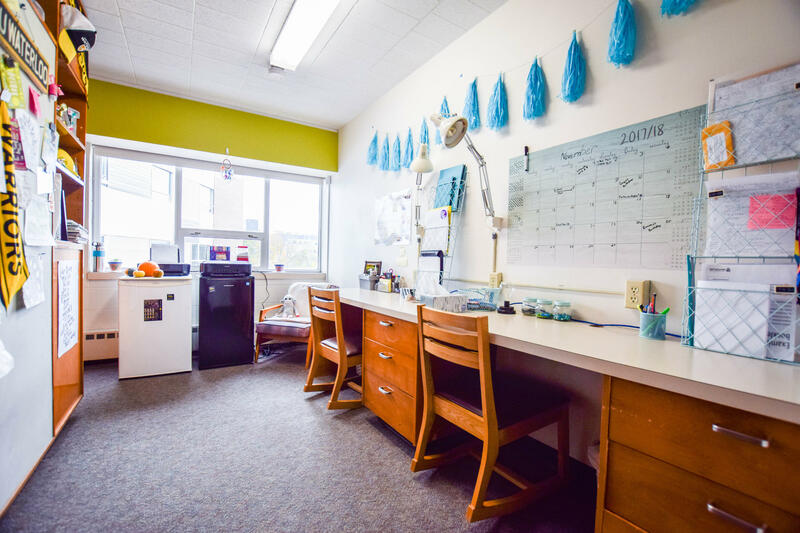 While your dorm room is important, you’ll also be spending lots of time in the common areas of St. Paul's. The Watson's Student Centre is our dining and community area. A games room, television lounge and fireplace make this the place to hang out, and as of Fall 2017, a large new multipurpose area will also be available to students. The Edward Jackman Reading Room is also a great place to study or have group meetings, as is Alumni Hall, room 118, the study rooms off the Student Commons, and several other spaces around the College.